Contact Marc if still want to meet up at the event, wonkaman@aol.com. Hosted by the Big Ten Club and Northwestern Club of Los Angeles, join us for some exciting NHL Hockey and special bonuses for our group! Sign up by April 18th at our eventbrite page. The Big Ten Club of Southern California, along with the Northwestern, Michigan State and Wisconsin alumni clubs, will all co-sponsor the annual service project at the Los Angeles Regional Foodbank on Saturday, April 21, from 8:45 a.m.-12 Noon. For now, just save the date – further information will follow – and make plans to join us for what has become a terrific annual event. An optional lunch will follow at a local Mexican restaurant. Questions? Please contact Jim Jacobs at wildcats76@verizon.net or 626.334.5676. Big Ten Club Members -- We printed brand new Club business cards for our members to have and pass out to interested parties and prospective members. We also established a permanent BTC mailing address and phone number for contacts. Besides welcoming our newest Nebraska members, these cards are excellent for chance meetings and to get people interested in the Big Ten Club. Send an email with your mailing address to secretary@bigtenclub.com and we'll send you some....help us spread the good word about the Big Ten Club!!!! Our Webmaster Steven Green will be President next year, and he'll have plenty to do for the Club. We are thinking of redoing the website and asking for a volunteer who can add content regularly and keep it updated. This is a very important part of our updated Communication plan, and help here would be very useful and greatly appreciated. The ideal person would have web design experience, a little graphic art knowledge and 3-4 hours a month available to help the Club. Please contact Alan Freeman, Communications Committee Chair at afreeman@bestOCevents.com or cell (714) 390-5190 if you would like to help in this important position. Make plans to join fellow Illinois alumni for this exciting February event! To purchase tickets or to look up more information please visit our website. Sign up at our eventbrite page. It’s our annual 3 hour tour hosted by Indiana University Los Angeles Chapter. The tour is 10:00-1:00 and we need to be at the dock between 9:30 and 9:45 to check in. It is $10 for Big Ten Club and Indiana University Alumni - both children and adults (regularly $23). After the whale watch, we will head to Naja's for burgers and beer if you are interested. To register, email Cindy Strong at csstrong14@aol.com no later than 19th. Please be sure and register so we can send you any last minute changes. Please join us on Tuesday, March 13 for the Red Wings last regular season visit to Los Angeles. The game begins at 7:30 p.m. In addition to a great member discount on seats, we’ve also arranged a post game meeting with a Kings’ player. Barring any trades, injuries, or unfortunate circumstances that player will be former Wolverine and Kings’ Defenseman Jack Johnson. These events are always a lot of fun for alumni of all ages - Especially if you’re a Detroit fan! Get your tickets soon because they will sell out. Please note that we will mail your tickets to you on March 1st. That means you can secure some now and add to your order at anytime knowing that all of your seats will be together. Click here to register now! You may also register over the phone by calling the Alumni Association at 800.847.4764. If you have any questions, please contact Andy Chidester at abc@umich.edu. A BIG HIT from last year returns…our family Picnic. Relax with the adults while the Alumni Board of Directors entertains the children. You’re within eyesight of the little ones as you sip your wine and play euchre. Join us at our reserved space at Camrose Park at 4:30pm (5 minute walk to Hollywood Bowl) for a fun filled Endless Summer GO Blue Picnic Supper: Fried Chicken, Salad, Watermelon, and Ice Cream cones. BUT, BRING YOU OWN DRINKS (alcohol permitted inside the Bowl) for the picnic and to be brought inside for the show. While the children participate in the supervised games (under 5 will need parental supervision) the adults can enjoy their home-brought wine under the trees and admire form the surrounding picnic benches. Old Fashion Sack races, pie eating contest, basketball toss and other themed games. At 7:45 we will walk the short 100 yard to the Hollywood Bowl for PIXAR show for the Kids inside all of us! Pageant of the Masters & Dinner by the Decades -- SAVE THE DATE! 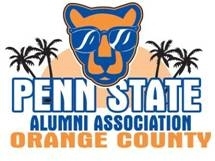 Join the San Diego, Orange County and Los Angeles Alumni Clubs for this joint club experience. San Diego will be on the grounds by 2pm so come early to Laguna Beach for the day. Enjoy the Sawdust festival and the artist works on display and for sale on the Pageant of the Master grounds. We have reserved Michigan Alumni area at Tivolli terrace restaurant adjacent to the grounds. Your reservation will be by graduation year as all three alumni clubs con-celebrate dinner by the decade prior to the show. We have reserved seats for the pageant starting in the 9th row as well as in the upper tier for the young alums and more budget-minded. The Pageant sells out every year usually before the shows even open. If you have never been or have not been a=in a long while it truly is a LIFE EXPERIENCE to see. Tickets will be available on e-web sales next week. Sow at 7:30pm $25-$80; three course dinner with choice of Salmon or Lamb or vegetarian is $46.50 at 5:30pm. First come first serve basis, do not wait to reserve your spot as all three clubs will be purchasing. Read the Winter 2012 CFN Newsletter for the latest CFN news & events. Get the details of the 2012 Founder's Day event Feb. 11. You can make your reservations on line here. SOLD OUT!!! email Marc with any questions of if want to meet up - wonkaman@aol.com. RSVP now as tickets are almost gone and we will not be ordering more! THE NU MEN’S BASEBALL TEAM will be at Cal State Northridge. Come out and support the Cats any day you wish, but we’ll do our official outing on Sunday. Volunteers Needed for Hillsides Annual Benefit, "Road to Emerald City"
Join in PSULA's 22-year tradition of supporting Hillsides, a foster care children's charity in Pasadena! 20 volunteers needed! Dinner: Will be provided to volunteers @ 4PM during orientation. Sign Up: Click here to register. Registration must be submitted by February 13th! For more information on the "Road to Emerald City" benefit, please visit: http://hillsides.org/site_info.php?siid=175&id=177. Be sure to check out the Purdue Men's Basketball schedule below and let us know if you would like to organize a game watching or post on our Facebook page where you will be watching the games! Purdue University has the second-largest international student population among U.S. public universities and is fourth overall, according to the 2011 Open Doors report released Monday (Nov. 14) by the Institute of International Education. Read more. Thursday, Feb. 16th: OC Badgers Board Meeting 6:30 PM at IHOP (18542 MacArthur Boulevard, Irvine; across from John Wayne Airport). Saturday, Feb 25th: 11th Annual Big Ten Beer & Bowling at Tustin Lanes; Check-In begins at 5 PM/Tournament at 6 PM; CLICK HERE for event details, cost, and registration. Saturday, March 24th: 10th Annual Chapter Founders' Day Celebration at the Phoenix Club Garden Pavilion from 6 to 10 PM; Program: “Chocolate Science 101” by Richard Hartel, PhD with UW Food Science Department; CLICK HERE for event details and registration options. RSVP deadline is March 14th. November 2011 - March 2012: Badger Basketball Viewing at Classic Q! Come cheer on our Men's Basketball Team as they make a run for the Final Four!